i have never been to a broadway musical. 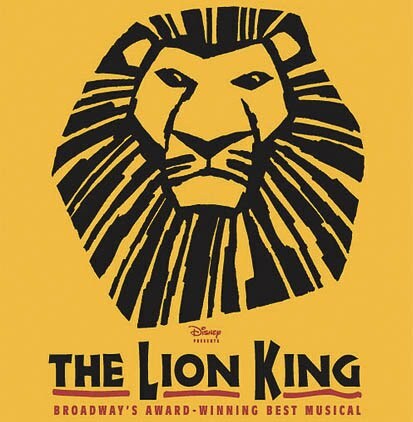 so when i knew that the Lion King would be showing, i was excited to watch my first ever, knowing that the Lion King is a world-renowned and award-winning musical. the myriad of colors caught me. if you ask me, it was like i was inside an animated film. think live 3D, but way, way, like a thousand times better! the creative lighting, the props, the costumes, it was so so grand and nice! it may be a bit pricey, but i tell you, it's worth every dollar. there's just something with you being there, right then and there, experiencing the magic that only disney can bring. heck, i even sang along with the so familiar songs! it's not just for kids! in fact, even if Simba's story maybe very familiar, yet the musical brought it to life in an angle that you cannot even begin to imagine. and after all these years, the story still pulls a "tug" in your heart.